E3 fast approaches, and you know what that means: new game announcements and all the gaming news you can handle are headed our way. It also means it’s time to rewind to 2017, when the three console makers made a plethora of promises during last year’s E3 festivities. Did they keep them? Let’s find out. First up: Microsoft. As with previous years, E3 2017 had its share of expected announcements and surprises. Nintendo returned with its pre-recorded video Direct event. Microsoft and Sony kicked off their 2017 shows with traditional press conferences—with studio executives taking to their respective stages to deliver news, game trailers, and… even more trailers. So. Many. Trailers. 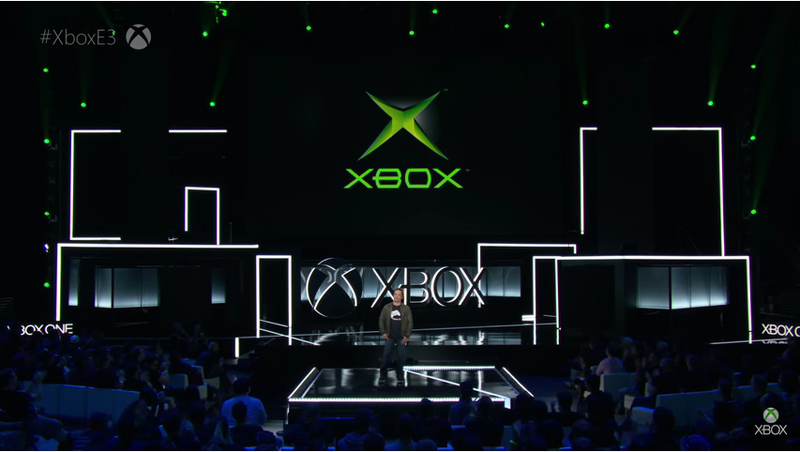 Microsoft’s June 11th conference began with a reel of games highlighting Xbox’s history, from Halo in 2001 through 2013’s Gears of War and more. But beyond the nostalgia trip, the showcase demonstrated the increasing resolutions of these games, from 640 x 480 to 1920 x 1080. Why? Because Microsoft had a new console to unveil—the Xbox One X, which supports 4K resolution. The theme of the presentation was that many of the games on the Microsoft stage would run better on Xbox One X. The promise: Formerly codenamed Project Scorpio (and previously leaked ahead of its E3 2016 announcement), the Xbox One X was revealed by Xbox head head Phil Spencer. 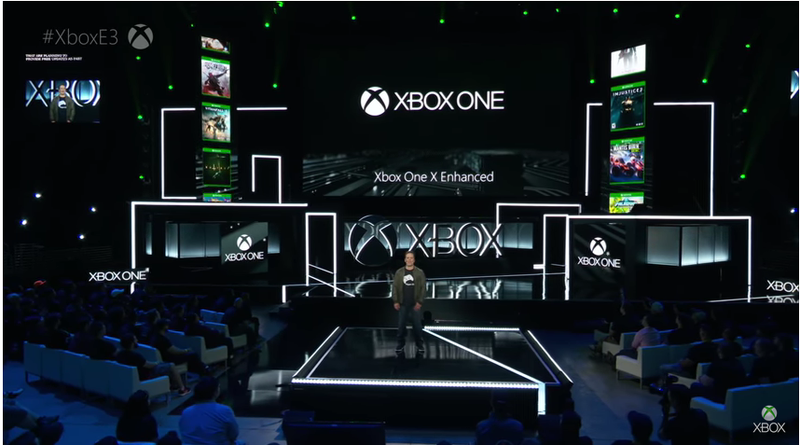 As per Spencer, the latest in the Xbox family would be the world’s most powerful console and would set “a new quality standard for gamers and game creators,” at its November 7, 2017 worldwide launch. Kareem Choudhry, one of the lead engineers for the system, spoke extensively about the console’s specs, which were unveiled by the company back in April 2017. Although this last bit of information was revealed at the end of the conference, the Xbox One X would be priced at £450. Did Microsoft deliver? Phew! That was a lot to parse through and the answer is yes. The Xbox One X released November 7, 2017. For a more detailed report on how it fulfilled those promises, check out Mike Fahey’s review. In short, the Xbox One X certainly is the world’s most powerful console, but is using that power to take “advantage of two of the hottest display technology buzzwords” and doesn’t feel like an incredibly necessary purchase when its predecessor, the Xbox One S, does a fine job. 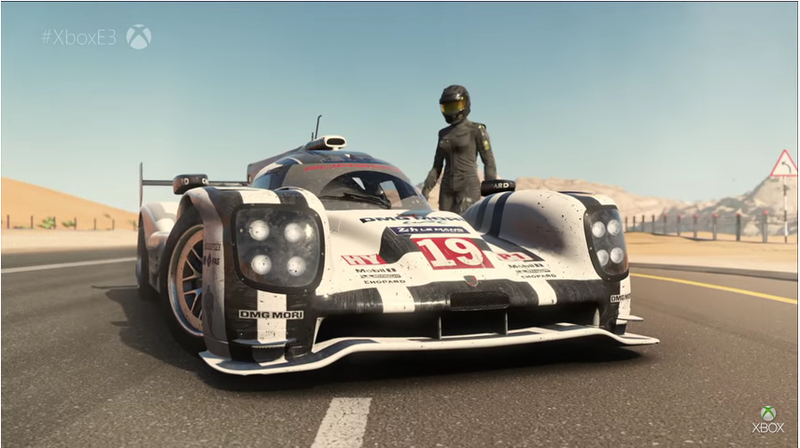 The promise: A video of a racing car in a desert landscape led our first official game trailer of the presentation, for the Xbox One and Windows 10 game Forza Motorsport 7. The racing game would feature over 700 cars, run natively in 4k and at 60fps, have a dynamic weather changing system, and raceways such as the Nürburgring. Forza Motorsport 7 would release on October 3, 2017. Did Microsoft deliver? Yes. Forza Motorsport 7 met its promised launch date, even if part of that launch, namely its VIP program, was a bit messy (and quickly addressed by the developers). In more recent news, the game will be featured in The Special Olympics USA Games’ first video games tournament. 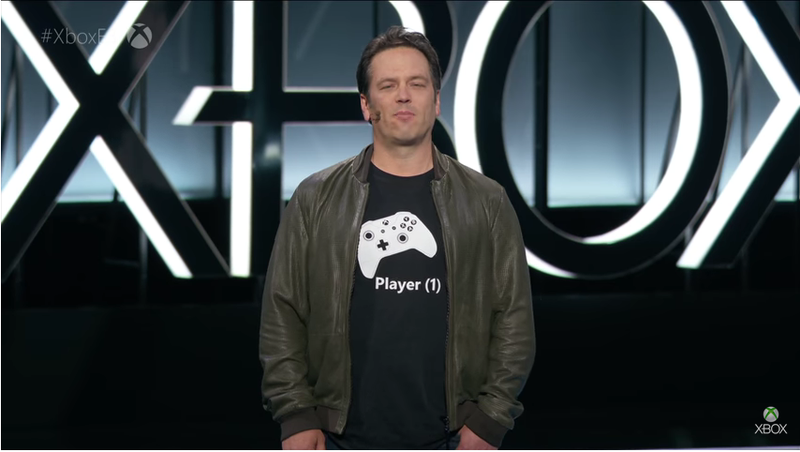 The promise: Phil Spencer returned to say that 42 games would be shown during the presentation, the second of which showed a protagonist blasting monstrous mutated creatures before hopping a ride on a passing train. 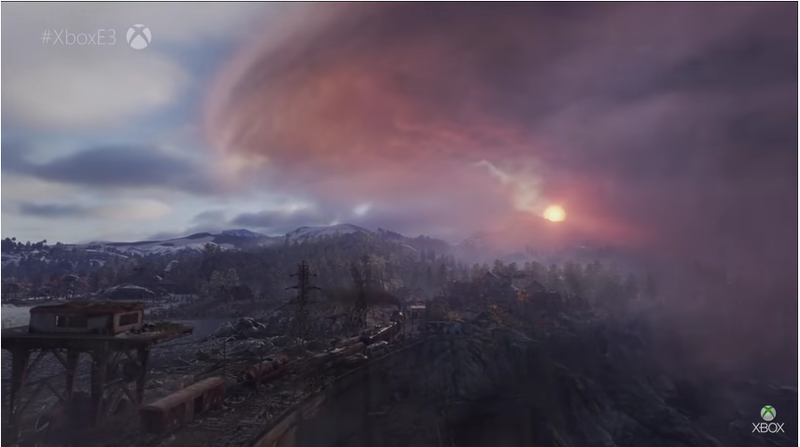 It was Metro Exodus, slated for a 2018 release window. Did Microsoft deliver? That’s a negative on Metro Exodus, as the game was recently announced as delayed to 2019. THQ Nordic has noted that the game will make an appearance at this year’s E3. 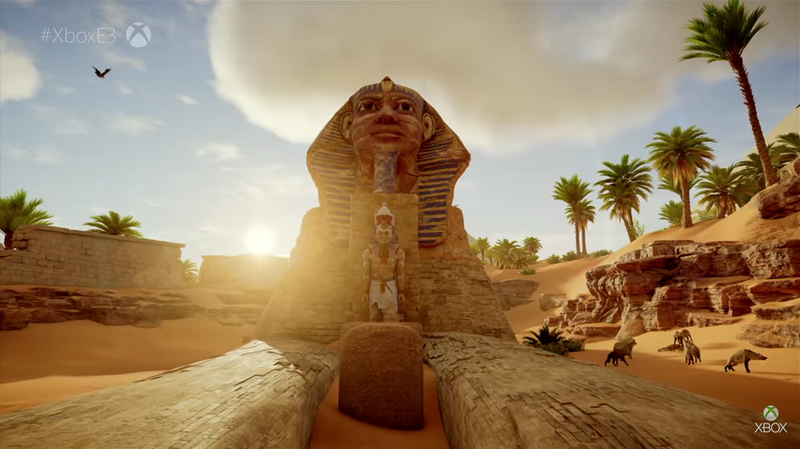 The promise: Next up was the latest in the Assassin’s Creed series, Origins, to be released on October 27, 2017. Did Microsoft deliver? Yep. Assassin’s Creed Origins — a game about marriage, weird boats, and much more — released on October 27th for PlayStation 4, Xbox One, and PC, as promised. The promise: Brendan Greene, creative director of Playerunknown’s Battlegrounds, presented next. The game would be released in late 2017 as an Xbox One console launch exclusive, with an enhancement update shipped with the final version. Did Microsoft deliver? Kotaku readers can decide if this constitutes as a “launch” and if PUBG and Microsoft win a chicken dinner. 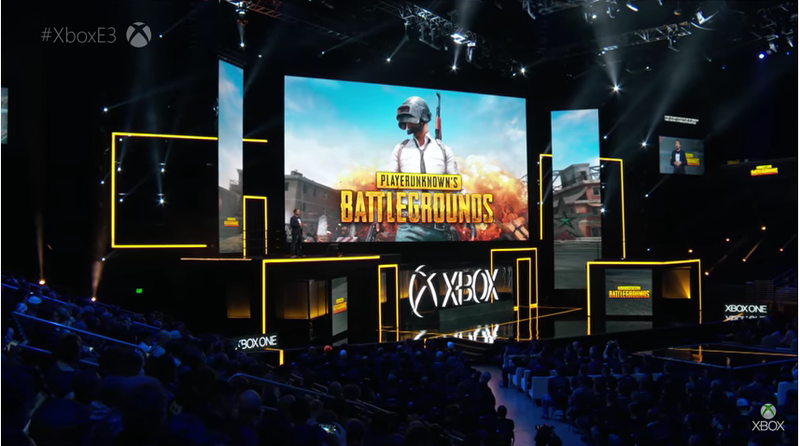 On December 12th, the battle royale game — the type that’s so popular with the kids these days—became available on Xbox One, as part of the Game Preview program. Some days later, on December 20th, it officially left Early Access and was released on PC. As of today, the game still remains an Xbox One console exclusive, and in March received a mobile release that’s pretty decent with cool features. The promise: Another trailer rolled for an Xbox One console launch exclusive, with interactivity on Mixer. 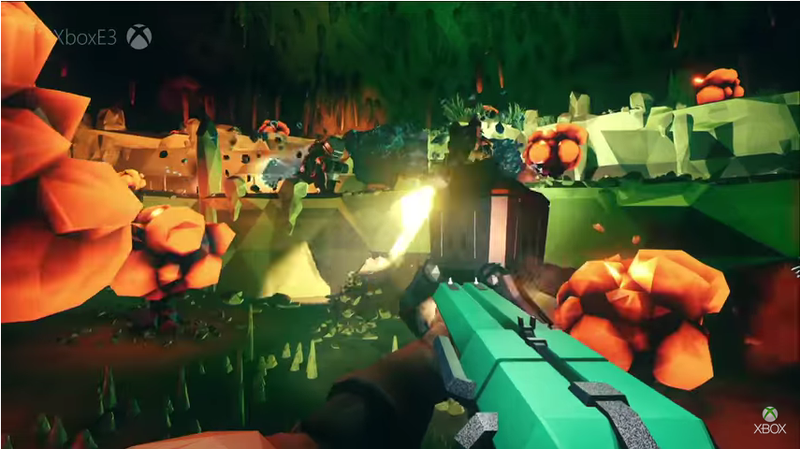 The game was Deep Rock Galactic, a first person multiplayer shooter with no release date attached. Did Microsoft deliver? Not yet. On February 28th of this year, the game officially entered Early Access and the Xbox Game Preview program. 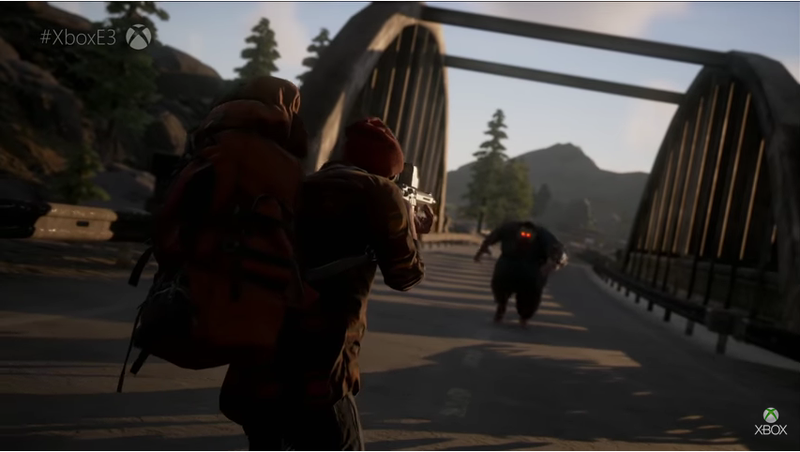 The promise: A trailer for State of Decay 2 was shown next. The return to a zombie-filled world, where players fight for survival, would happen in Spring 2018. Did Microsoft deliver? Last we checked, May 22nd is still in the spring, which is when State of Decay 2 launched. So, it’s a yes. The Xbox One and Windows 10 exclusive game may be full of bugs (and hordes of zombies, of course) but it’s also thrilling, scary, and challenging. The promise: A character warmed his bloody hands, and pulled an ax out of a body in the next Xbox One trailer. 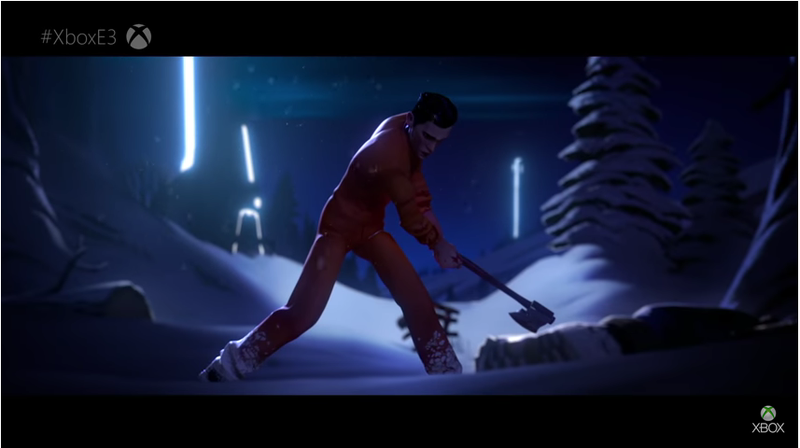 Live on-stage commenter Jethro Tullbroke down the play-by-play of the battle royale match for The Darwin Project. No release date or window was provided. Did Microsoft deliver? Not quite yet. The Hunger Games-inspired battle royale mash-up is currently in Early Access on Xbox One and free-to-play on Steam. The outcomes of battles can be swayed by Mixer and Twitch followers. As of now, it is slated for a summer 2018 release. The promise: In the Minecraft-focused portion of the show, brand director of Mojang Lydia Winters discussed new features headed for the game. 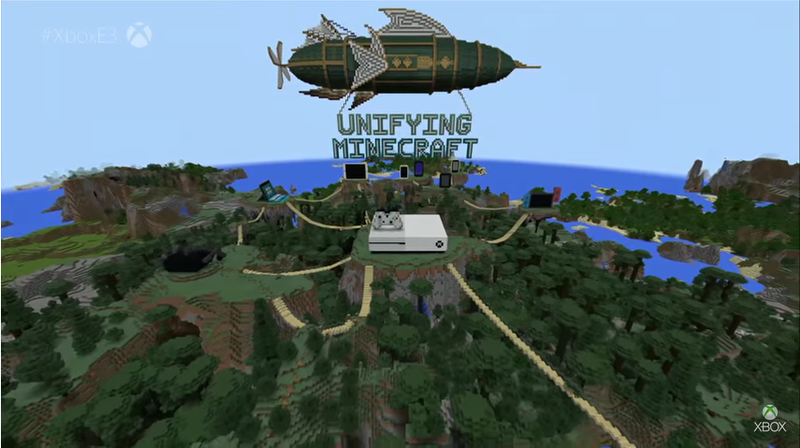 Community Marketplace, massive servers, and Xbox Live would bring cross play to the global community between various platforms—mobile, VR, Windows 10 PCs and the Nintendo Switch console (no PS4, naturally)—to unify the Minecraft experience by summer 2017. Player-made textures, skins, maps, and community run servers would be welcome into the game. In the fall, a free 4k update would hit. And finally, a Super Duper Graphics Pack would become available in the fall, enhanced by Xbox One X. Did Microsoft deliver? It’s a no. Word that the Super Duper Graphics Pack would be delayed to 2018 came in November, instead of its projected fall 2017 release. New updates were announced since, such as Update Aquatic and the first part of that was subsequently released in mid-May. As for unifying the systems? Cross-play happened for some, but not for all, as Nintendo Switch owners are still waiting on that one. But if all goes as planned, it won’t be much longer; the Bedrock update, which includes cross-play, is expected to release in a few weeks on June 21, 2018. 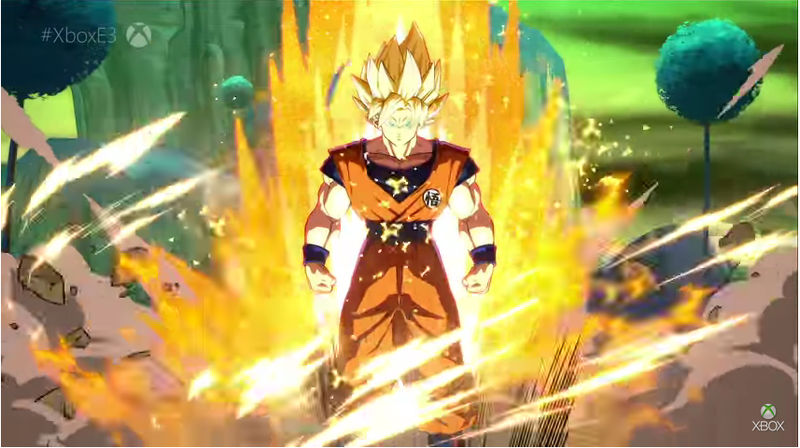 The promise: A reel of third-party game trailers began with Dragon Ball FighterZ, slated for early 2018. Did Microsoft deliver? Yes. On January 26 of this year, fighting game fans got their wish, without even having to gather the dragon balls together to do so. The game has been going strong ever since, with new modes and timed events. And maybe one of those Saiyans was a bit too strong. 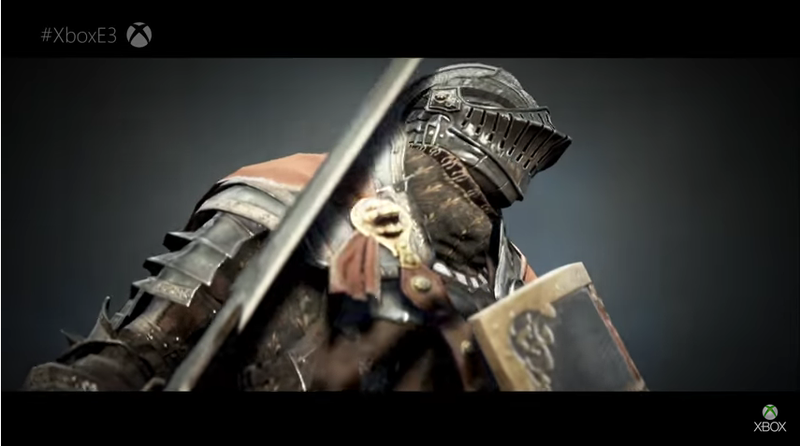 The promise: Another sparse-looking desert setting eventually gave way to lush and snowy landscapes.The MMORPG Black Desert would be coming to the system early 2018. Did Microsoft deliver? No. The game’s Xbox page, as of this writing, still has it listed as “coming soon.” Black Desert, which has one of the best character creation tools, is getting a mobile version though. 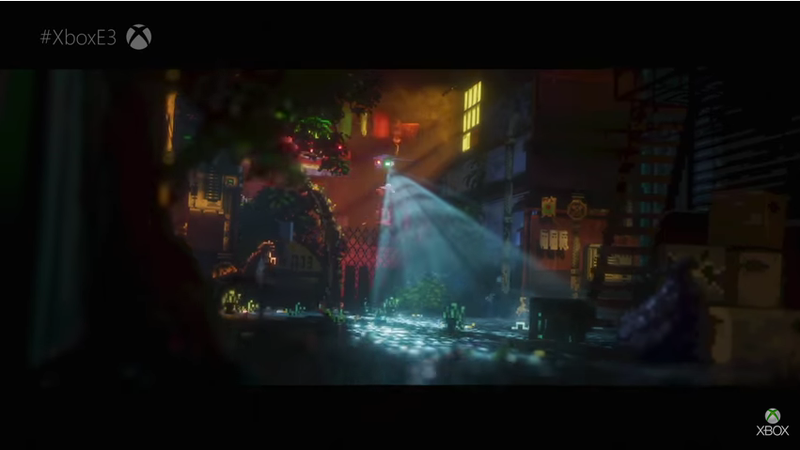 The promise: Neon lights and a futuristic world were the focus of the next trailer. The Last Night was revealed with no released date, but later received a release window of 2018. Did Microsoft deliver? Not yet. It’s been quiet on this game’s front ever since its announcement, but maybe we’ll hear more during E3 this year. Did Microsoft deliver? It’s not damn ready yet. 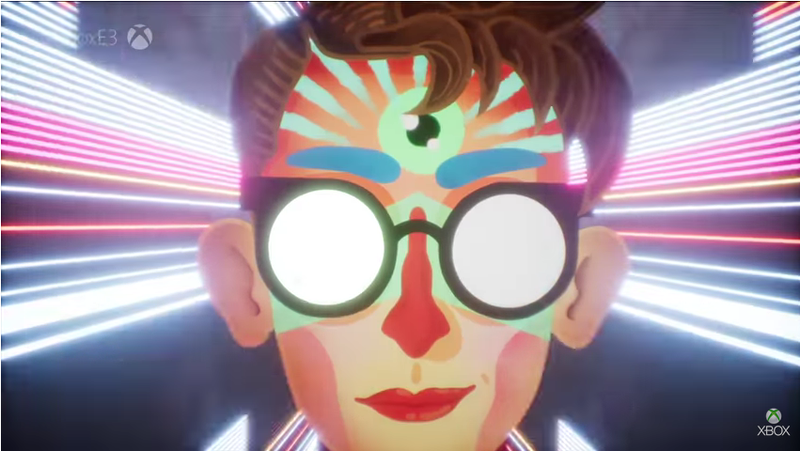 Information on the game has been light since its psychedelic E3 2017 appearance. 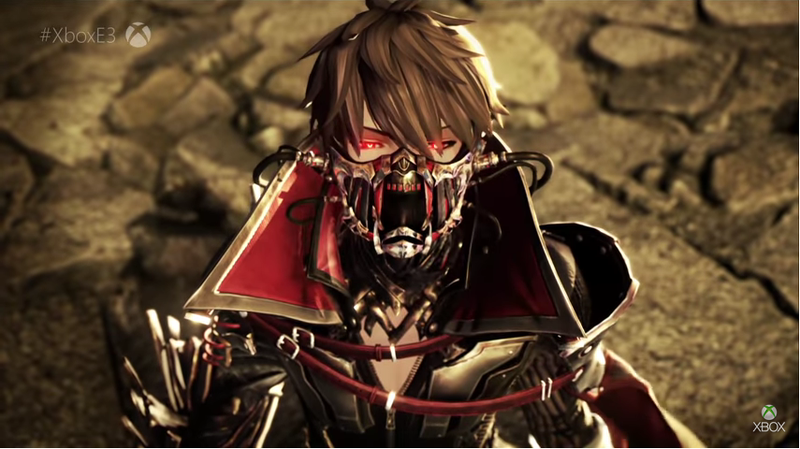 The promise: Code Vein, an action hack and slash with lots of blood and sharp metal claws, was the next featured trailer, and would arrive in 2018. Did Microsoft deliver? Not quite yet, but Bandai Namco has just announced a release date today - it's coming on September 28th. 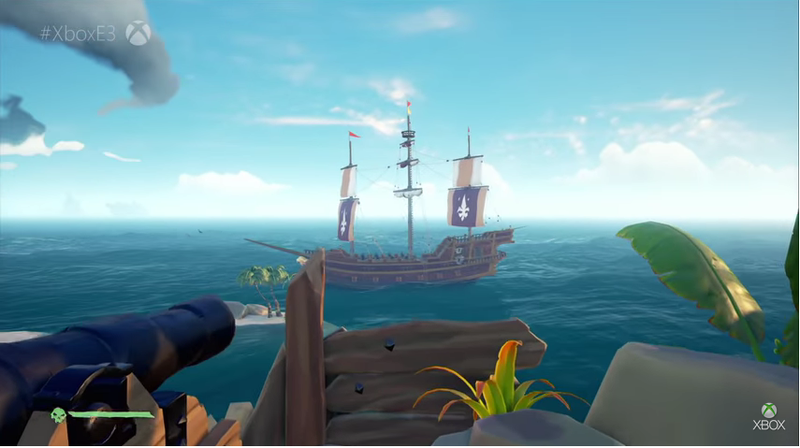 The promise: Extensive gameplay footage from Rare’s pirate swashbuckling shared world adventure Sea of Thieves was presented. It showed off sailing, treasure hunting, and co-operative and competitive gameplay. The Xbox One and Windows 10 exclusive Play Anywhere game would launch early 2018. Did Microsoft deliver? Yes. On March 20, Sea of Thieves set sail on PC and Xbox One. Many high sea adventures of plundering and temporary truce deals have been, and continue to be, made. Pirate Legends have emerged, new features added, and the game got its first expansion, full of terrors of the deep, on May 29. The promise: Adventure game Tacoma had its release date scheduled for August 2, 2017. Did Microsoft deliver? Yep, it did. 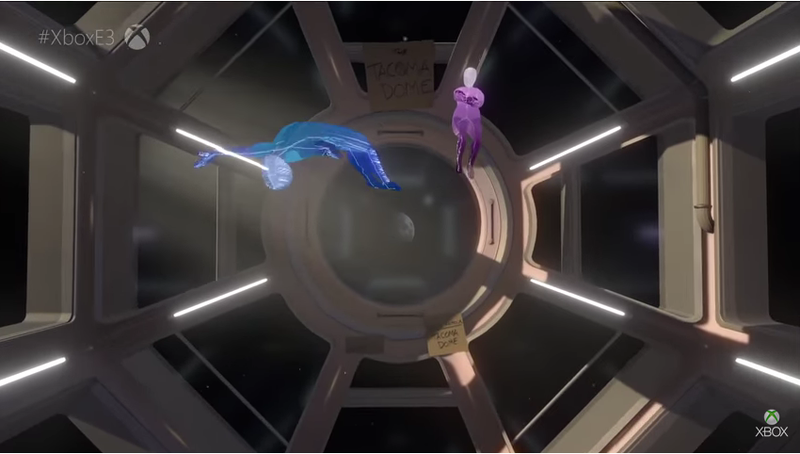 On the promised date, the narrative-driven game, from the Gone Home creators, about chasing ghosts aboard a space station set sometime in the future, released. It launched as a console exclusive for Xbox One, also receiving Mac, Linux, and PC releases on that same date. Until recently, it remained as such, but is now available on PS4, too. The promise: The world premiere trailer of Super Lucky’s Tale showed off lots of coin collecting, platforming, and cute characters inhabiting its colorful world. 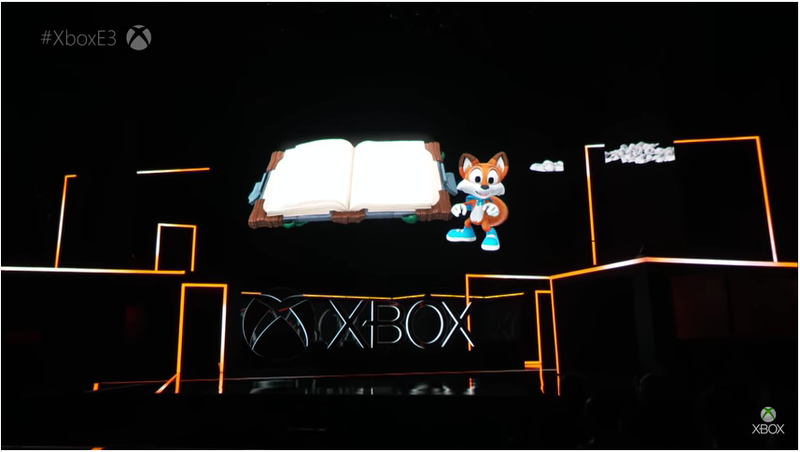 Fresh off his debut for Oculus, the adorable fox Lucky would be headed to the flat screens of Xbox One as a console exclusive on November 7, 2017. Did Microsoft deliver? Yes. Mike Fahey found it to be a “delightful take on Nintendo 64-era platformers,” albeit one that could use more of an identifiable uniqueness. Super Lucky’s Tale got its Xbox One console release on the 7th day of November. It has since received content add-ons too, with the most recent at the beginning of May. The promise: Retro cartoon-inspired Cuphead, an Xbox One and Windows 10 Play Anywhere game, would allow players to make a deal with the devil upon its September 29, 2017 release. Did Microsoft deliver? No broken promises here. It’s another yes. The challenging game made its Xbox and Windows 10 PC September 29th debut. Finally! 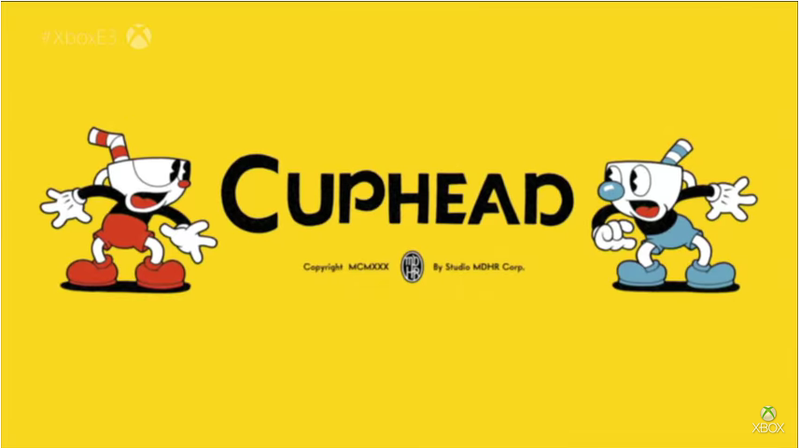 Spawning fan made-cartoons, speed-running challenges, think pieces, and more, Cuphead served up a lot to talk about since its release. I’m also all out of terrible cup-related jokes, so consider your glasses half-full. The promise: Terry Crews? Yep, actor Terry Crews, clad in a glowing neon suit and carrying a huge gun, was part of the next trailer. The Xbox One and Windows 10 Play Anywhere game, Crackdown 3, would bring its huge explosions and mass destruction to players on November 7, 2017. Did Microsoft deliver? No. 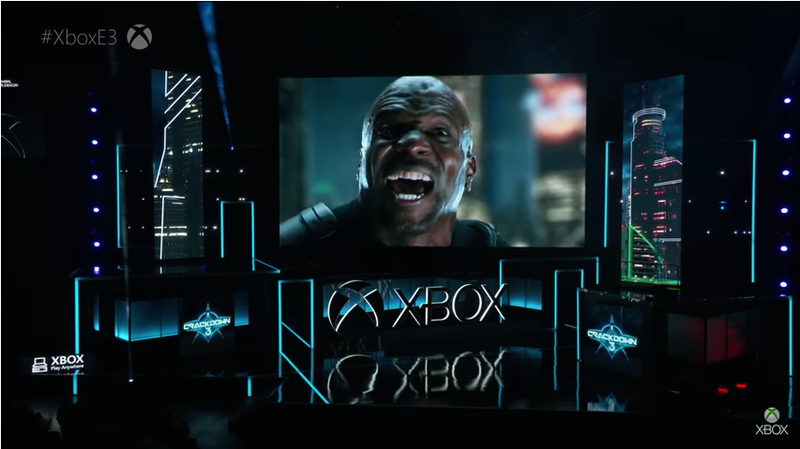 Crackdown 3, first announced at E3 2014, is still a game players are waiting for, missing its 2017 release. Those cool explosions and the game do not have a pegged-down date other than a general Spring 2018 release window, which is quickly closing up. The promise: If you’ve been keeping count, there were supposed to be 42 games shown on the Microsoft presentation stage. That’s where the next trailer reel of indie games presented comes in to meet that quota! Here are a list of games the spotlight focused on, all without locked-in release dates: Osiris: New Dawn, Raiders of the Broken Planet, Unruly Heroes, Path of Exile, Battlerite, Surviving Mars, Fable Fortune, Observer, Robocraft Infinity, Dunk Lords, Minion Masters, Brawlout, Ooblets, Dark and Light, Strange Brigade, Riverbond, Hello Neighbor, Shift, and Conan Exiles. 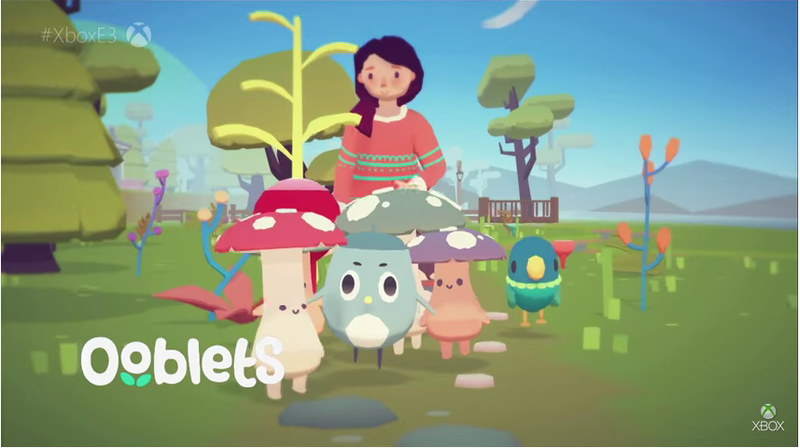 Finally, there’s Ooblets. In an April 2018 developer log, the Ooblets team stated that it is aiming for an end of 2018 release date. We can’t wait to farm, and collect critters. It’s a no for Unruly Heroes, which later got an “Early 2018” release date window. It’s still not out, however, and has a 2018 pending release date for PS4, PC, and Nintendo Switch, too. And now for the games that have been released: Raiders of the Broken Planet (Xbox and PS4 on September 22, 2017), Path of Exile (August 24, 2017 on Xbox One), scary Cyberpunk game Observer (August 15, 2017 on Xbox One, PS4, and PC), Robocraft Infinity (April 11) and Surviving Mars (PS4, Xbox One and PC on March 15, 2018—side note: no word on whether Riley MacLeod has yet built the perfect martian colony). Fable Fortune was delayed to July 25, 2017 from its July 11th release. On the 25th it went into Xbox One Preview and came out of early access this year, on February 22nd. Creepy, unfun neighbour game Hello Neighbor released late last year on December 8, 2017 for Xbox One, Mac, and PC. And Conan Exiles, with its NSFW character creator, left Early Access and released on Xbox One and PS4 on May 8, 2018. 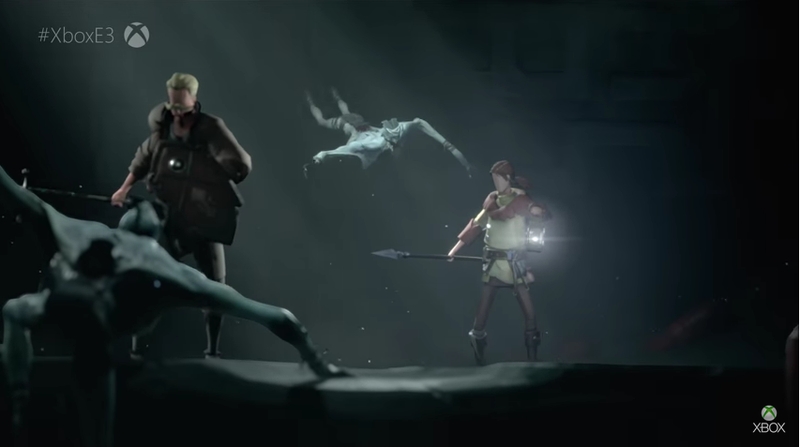 The promise: Indie title Ashen got a full trailer. This Xbox One and Windows 10 game, focusing on the story of light and evil lurking in the dark, received no release date information on stage. It was later revealed as coming in 2017. Did Microsoft deliver? It didn’t make that 2017 release. The gorgeous looking action-adventure game caught our attention back in 2014. But as of now, with a vague release date of 2018 listed on the Xbox website, it seems we’ll have to wait a bit longer. 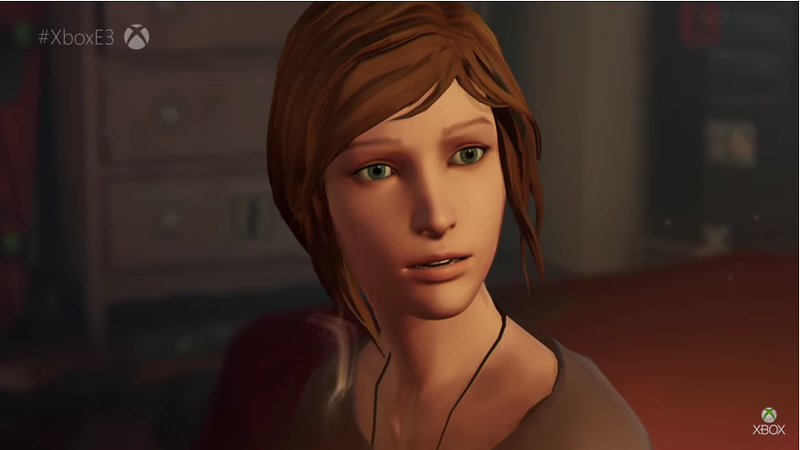 The promise: The world premiere trailer for Square Enix’s teen-driven, time-traveling episodic adventure Life is Strange’s prequel, Before the Storm, was presented next. The first of three episodes would be available beginning August 31, 2017. Did Microsoft deliver? Yup. Episode 1 of the trying-too-hard-to-be-edgy teens game released on the promised date for Xbox One, PS4, and PC. Episode 2 followed on October 19th, and the final chapter dropped two months later on December 19th. 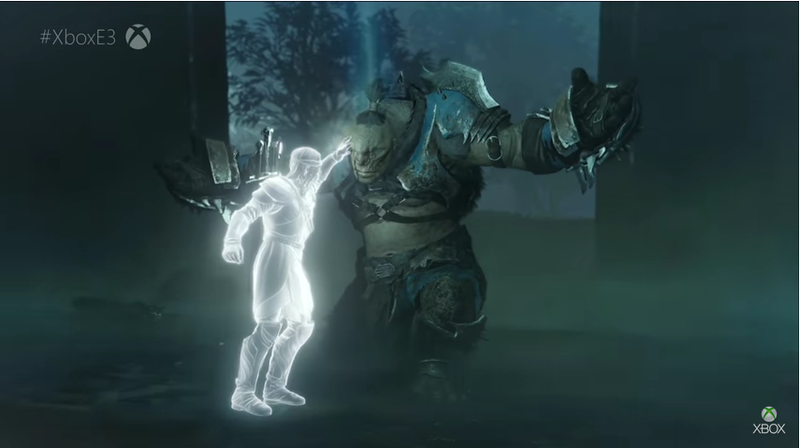 The promise: Michael De Plater unveiled a lengthy gameplay trailer for Middle Earth: Shadow of War, and discussed an expansion of the game’s lauded nemesis system. The Xbox One and Windows 10 Play Anywhere title would be available on October 10, 2017. Did Microsoft deliver? Yes. The parade of orcs (and more) began when Shadow of War released on October 10th for Xbox One, PS4, and PC. The promise: The next Xbox One and Windows 10 exclusive world premiere trailer got some special treatment. Accompanied by a live pianist to score its beautiful, mysterious forest scenery leading to eventual peril, Ori and the Wisp of the Willows was revealed. A release date, however? Unavailable. Did Microsoft deliver? 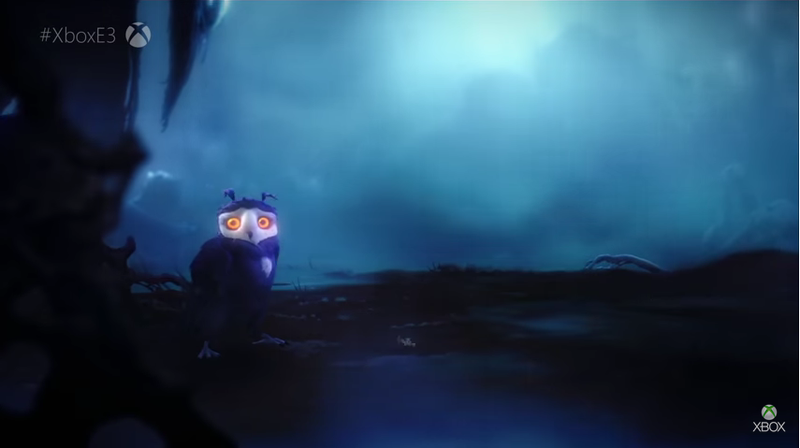 Well, with no release date, it’s a “not yet.” Not much information is out there for the follow-up to Ori and the Blind Forest. Perhaps we’ll hear more at E3 2018 in a few days. The promise: In celebration of the two-year anniversary of the Xbox backward compatibility program, Phil Spencer returned to note that as of that date, the library consisted of 385 Xbox 360 games playable on Xbox One. Over half of Xbox One owners had played a backward compatible game, Spencer said. The program would receive an expansion later in 2017, bringing some of the original Xbox’s greatest hits to the Xbox One library, including Crimson Skies. Did Microsoft deliver? Another yes. On October 24, 2017 the first 13 games, including Crimson Skies, released for the program. The promise: Free 4k updates for Xbox One X would come to the following games: Gears of War 4, Forza Horizon 3, Killer Instinct, Halo Wars 2, and Minecraft. There were also plans for over 30 third-party games that would receive updates as part of Microsoft’s Xbox One X enhanced program, including but not limited to Final Fantasy XV, Resident Evil 7, Tom Clancy’s Ghost Recon: Wildlands, and Rocket League. Did Microsoft deliver? Not yet on all. Rocket League is still in development as of this writing. The other games mentioned have all met the 4K promise or been enhanced for HDR capabilities, with over 30 listed from third-party partners. 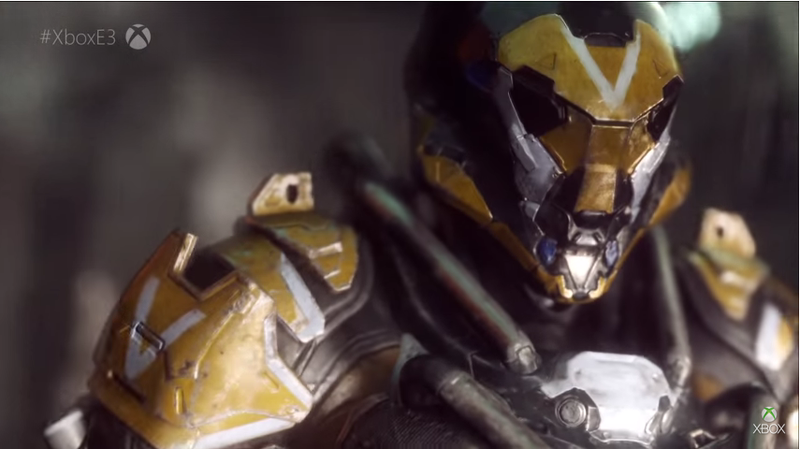 The promise: To close out the presentation, the executive vice president of EA Worldwide Studios Patrick Söderlund introduced the sprawling sci-fi RPG world of Bioware’s Anthem, coming in 2018. Did Microsoft deliver? No. Word came at the end of January that Bioware’s next game was officially delayed to 2019. Prior to the announcement, Jason Schreier reported on the mounting pressure associated with the making of the ambitious RPG. The overall promise: Microsoft hoped to showcase the largest and most diverse selection of new games from around the globe. All games would play great on the family of consoles, and the Xbox One X would run every game announced during the E3 presentation, even better. Did Microsoft deliver? It certainly showed a tonne of games, but it’s a good thing I’ve learned to count up to 42 because that’s how many were featured (not counting things such as Crimson Skies which rolled out as part of the backward compatibility program, or ones getting the 4K enhanced treatment). 22 of those had some kind of exclusivity to the Xbox. So, yes. The promise to show 42 games was met. Diverse games? Yeah, sure. With shooters, racing, fighting, adventure titles and more, from international and domestic creators, Microsoft met the global part of the promise, too. But how did Microsoft do overall on meeting the promises of all these games? A few were missed and still missing, such as Crackdown 3, Black Desert, Minecraft, and Ashen. Many are still out there with pending promises waiting to be fulfilled or broken. The biggest of its promises, the Xbox One X, did make it, as well as some of its first-party exclusives like Forza Motorsport 7 and State of Decay 2. With the high volume of games (and, therefore, promises) presented, it was probably always going to be difficult to successfully manage a huge portion of them. In tomorrow’s story, we’ll see how Sony did at its E3 2017 showcase. The PlayStation maker didn’t show as many games, but also didn’t really promise too much. But we’ll get into the nitty-gritty of it tomorrow.